Saliva Biography, Discography, Music News on 100 XR - The Net's #1 Rock Station!!! This Memphis, Tennessee USA, Alternative-Metal group was formed in 1996, by lead singer Josey Scott, guitarists Chris Dabaldo and Wayne Swinny, bassist Dave Novotny and drummer Paul Crosby. One year later, the quintet released their self-titled debut album on their own label. Subsequently they signed with Island Records and recorded the single "Your Disease" for "Dracula 2000" movie soundtrack, the song rose to #3 on The Mainstream Rock chart and hit #7 on The Modern Rock Tracks in early 2001. Their major-label debut album, "Every Six Seconds", followed that spring and featured two more Active Rock singles, including the top 20 "Click Click Boom" and "After Me"; eventually the album reached the #56 position on The Billboard Top 200 and spent over six months on the chart. During 2002 Josey Scott with Nickelback frontman, Chad Kroeger, released a new single entitled "Hero" taken from the soundtrack of the blockbuster movie "Spiderman", it peaked at #3 on The Billboard Hot 100, hit #1 on both American Rock charts and in a few weeks became an international smash. By the fall of 2002 Saliva was ready to release its third album, it was preceded by the #1 Modern Rock smash single "Always"; "Back Into Your System" climbed to the #19 spot on The Billboard Top 200 Albums chart and generated "Rest In Pieces" which peaked at #11 on The Mainstream Rock Tracks plus another top 30 hit with "Raise Up". The Memphis-based five-piece act returned in August 2004 with another strong effort and another U.S. top 20 album, "Survival Of The Sickest". The set burned up The Mainstream Rock chart with the title-track, which rose to #6 and the second single cut, the top 20 hit "Razor's Edge". 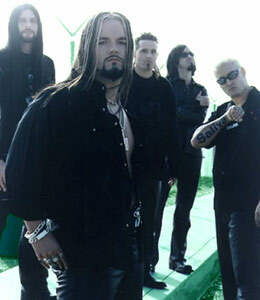 In January 2007 Saliva released their fourth Island studio album, "Blood Stained Love Story", the first with new guitarist Jon Montoya after the departure of Dabaldo; the disc equaled the chart performance of its predecessor led by the Hot Mainstream Rock top 3 smash "Ladies And Gentlemen" and the top 10 hit "Broken Sunday"; the final single, "King Of The Stereo" reached #25 on the Active Rock radio chart. The band received a RIAA double-platinum certification in July 2008 for their breakthrough album "Every Six Seconds". In the fall they put out their sixth full-length disc, "Cinco Diablo", which reached #104 on The Billboard 200; the album's first single pick, "Family Reunion", crested at #14 on The Hot Mainstream Rock chart and its follow-up, "How Could You? ", charmed its way into a respectable berth just outside the top 20. A third single, the boogie-Rock sounding number "Southern Girls", failed to dent the chart. 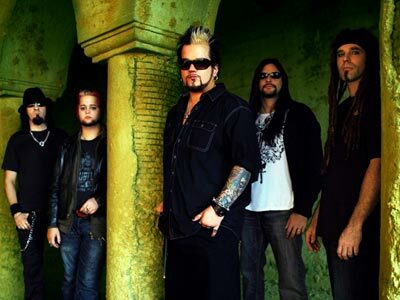 Now as a four-piece, due to Montoya's departure in the summer of 2010, Saliva recorded "Under Your Skin". The album arrived in March 2011 preceded by two singles: "Nothing" and "Badass". The disc reached #86 on The Billboard Top 200 Albums chart. That fall fontman Josey Scott decided to leave the band to pursue a career as a Christian solo artist. Florida singer + songwriter Bobby Amaru was brought in as his replacement. 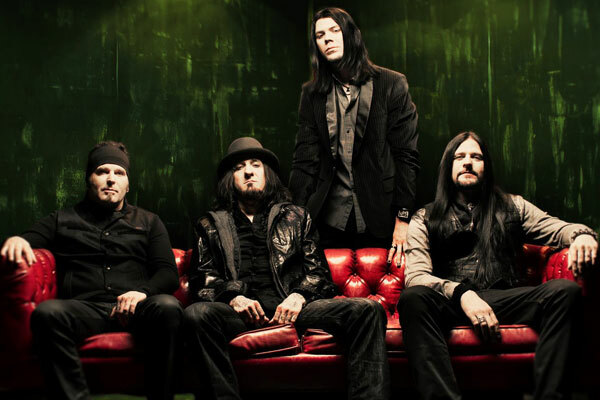 Saliva issued its eighth full-length album, "In It To Win It", via Rum Bum Records in the fall of 2013 while the first single from the CD, the aggressively anthemic title-track was released to digital outlets in the spring of that year. But it was the second single, "Redneck Freakshow", that broke into the top Active Rock top 40. "In It To Win It" was later declared to be a “sneak peak” limited release for longtime fans.